Michelle Wolff’s Limited Time Special Offer! Just for Elevated Existence Summit Listeners! Note: Michelle doesn’t offer 30-minute sessions anywhere else. This is just for Elevated Existence Summit listeners! Do you feel like you need a breakthrough or clarity on what do next (or what NOT to do), where to go and how to get unstuck? You dread Mondays because you hate your job so much. You were downsized and don’t know what to do next. You are trying to decide whether to stay in your marriage. Your youngest child just moved out and now you feel restless and lonely. You are doing what leaders tell you to do and still not growing your business. You feel restless and simply don’t know what you want. You wonder if you are overlooking something, missing a bit of information, or not factoring in all the angles of a potential project or plan. Your head is spinning with too many options and ideas. You need to process vent, explore verbally and feel supported. You simply want CLARITY on something in your life! 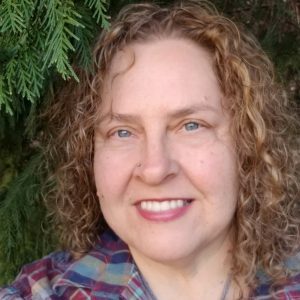 Let Michelle Wolff be your highly skilled intuitive guide, holding a calm, grounded space for you to help connect the dots, have a light bulb moment, and flood your system with sparkling inspiration, new energy and hope! 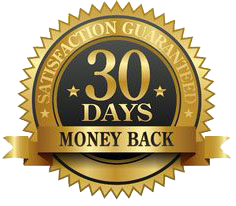 You will experience the magic AND leave with a practical action plan to help you implement it immediately! Desire to make a change with the need to clarify HOW! Your restlessness and dissatisfaction with recurrent patterns in relationships. Your sense that something is afoot, but your circular thoughts have you STUCK. The nagging feeling that something is trying to come through you, but it’s muddy, complicated, and almost a complete puzzle, but missing a few critical pieces. A lifetime of experience hearing the energy underneath the spoken words. Deeply focused presence and over 23 years of professional skills and education to help you see TRUTH, create a plan for HOW ad vaporize old beliefs without triggering your ego. A sacred space of vibrant possibility where anything goes. Together you will create an action plan just for you (no cookie cutter PDFs here!) filled with practical tools, exercises and resources to generate unstoppable momentum! I am so grateful for her guidance in my life! Michelle teaches using story, humor, and some salty language. She’s ridiculously curious with a wide variety of things she calls “jobs” only because she has to call them something. She holds a Master’s degree in Education, has 20+ years experience and loves to help you rewrite the stories which are creating your life. She has been a therapist specializing in trauma and is now one hellacious clarity coach and the creator of Forest Reiki™. She uses any tools she can find to assist from chakras, cards, and laser-sharp intuition to The Work, cheese fries and Netflix. Her superpower is guiding you toward empowerment through accessing your own wisdom and clarity.